Dentistry has come a long way in the brief history of America, when the first colonists were established. “American colonists were widely considered to have the worst oral health in the world,” says Eric Curtis, DDS, spokesperson for the Academy. Indeed, contemporary reports did not paint a pretty picture of new Americans’ mouths. In letters home from his travels in the New World, the Count de Rochambeau reported that the women, although beautiful, were nearly toothless by age 18. Peter Kalm, a Swedish botanist who traveled extensively in the Colonies, suggested at the time that it was because of the mass quantities of tea that the colonists drank-which the natives loathed–that was the culprit. Dr. Curtis says additional blame may rest on a substance that still is considered a major cause of decay today–refined sugar. Such was not the case for the Native Americans, however, who were reported as having teeth as white as snow. “The Native Americans did not eat sugar,” Dr. Curtis said. “It was imported from the industrialized nations of Europe, and it wreaked havoc everywhere it went,” he said. With all that tooth loss, there were few trained dentists in the Colonies. With a shortage of dentists for 100 years after the arrival of the Pilgrims, the work was left to other craftsmen. Anyone from a barber, clockmaker and blacksmith could hang up a shingle and set to work pulling teeth and crafting new ones from ivory. But in the end, Dr. Curtis said, it may have been the pioneering, entrepreneurial spirit of the first Americans that pushed dentistry toward the excellent treatment that we enjoy today. 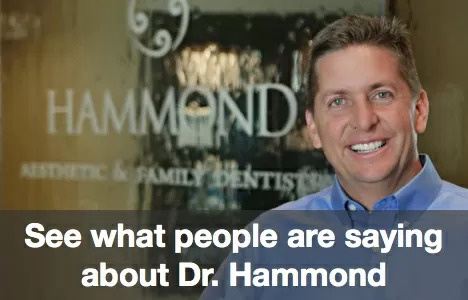 “Americans are generally considered to have the finest oral health and dentistry in the world,” he said.